As we exhibited in VIV in June 2018, we will be present in Eurotier, only as visitor this year. Please send me an email lydie.hamon@hereandthere.fr to arrange a meeting on Nov 14th. It was again a pleasure to see you in VIV Utrecht. Thanks for the business, and your cooperation ! 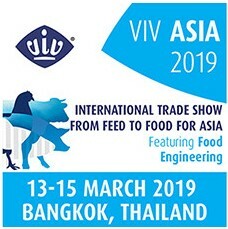 Thank you for visiting our booth in VIV ASIA this year! We would be so pleased to meet you again next year in VIV Utrecht! Thank you very much for coming at our booth in Eurotier !